The overlook trail for McWay Falls is a must-stop for anyone taking the scenic drive up Highway One along the Big Sur Coast. 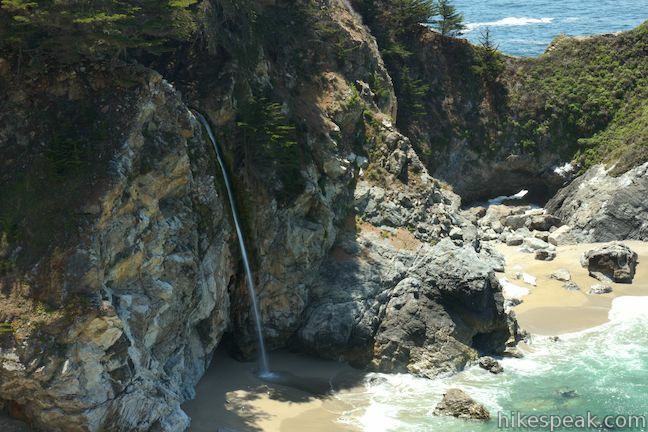 The waterfall is stunning, dropping some 80 feet onto a pristine beach in an enchanting cove. 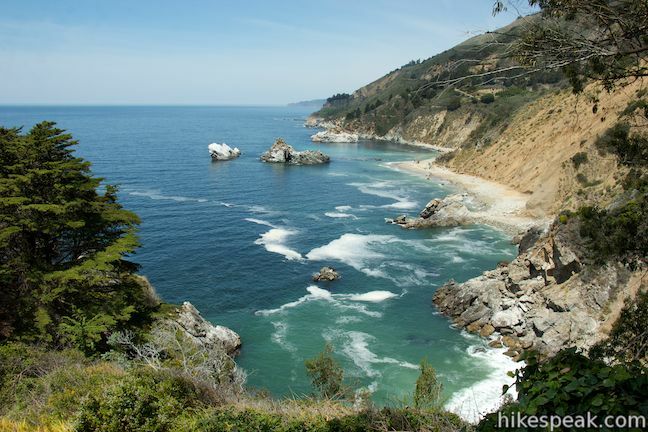 It is a short 0.6-mile round trip hike to a viewpoint for McWay Falls, which can be reached directly from Highway One or from parking areas withing Julia Pfieffer Burns State Park. 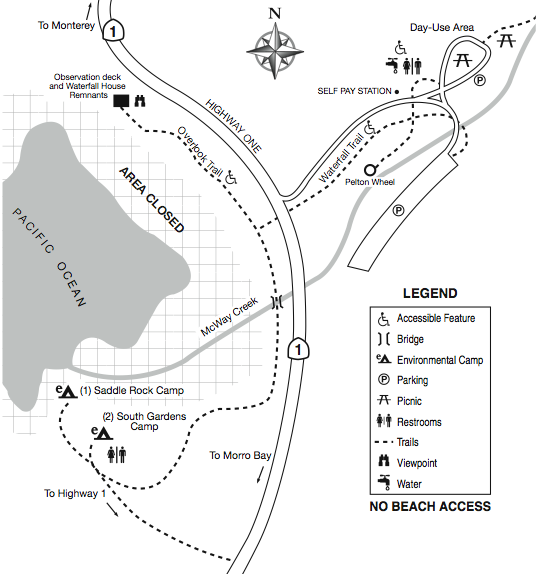 McWay Falls Overlook Trail can be accessed two different ways. Option one is to simply park along Highway One for free and start down the trail. 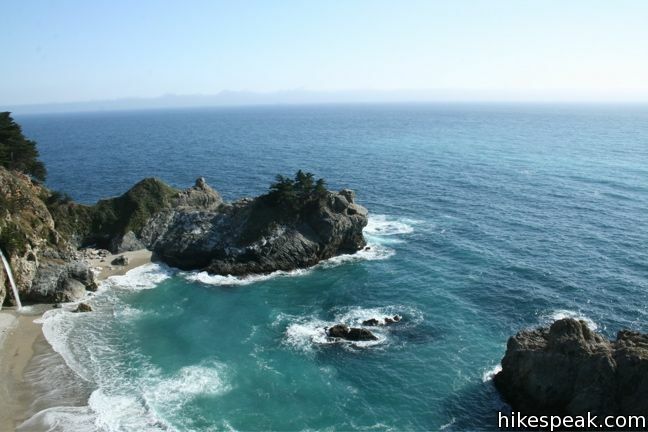 You may also pull into Julia Pfeiffer Burns State Park and pay an entrance fee to walk a bit farther. 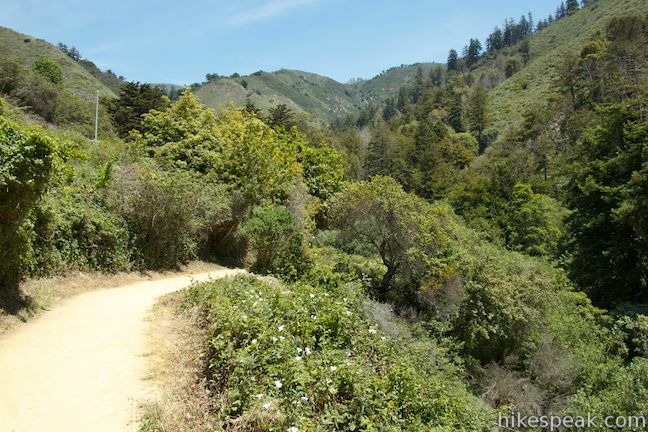 This is a good option if you plan to spend more time in the park, hiking Canyon Trail for example, which travels inland up McWay Creek past a picnic area to the smaller Canyon Falls. To get to Overlook Trail from the park parking lot, take the signed trail at the inside of the curve in the road between the upper and lower parking areas. 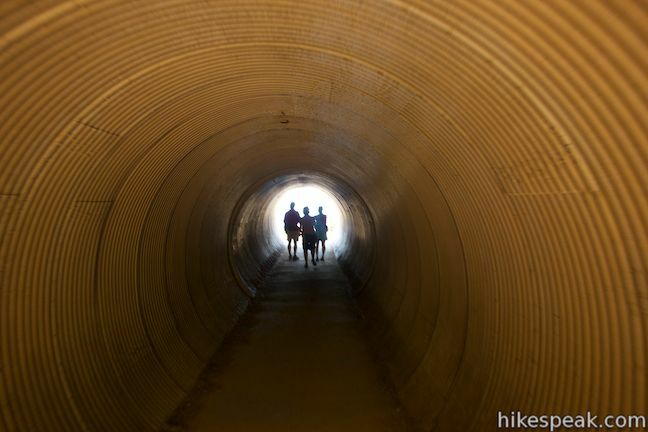 Walk down the wide dirt trail and through a tunnel beneath Highway One. Turn right here, joining the trail on the west side of the highway. 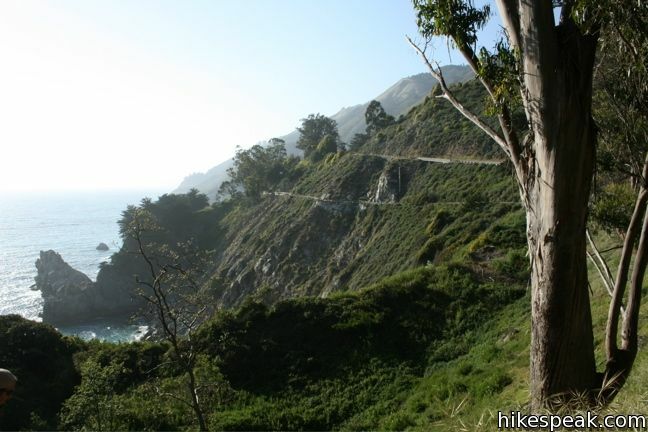 If you park along Highway One, simply find the trail on the west side of the highway just south of the park entrance. 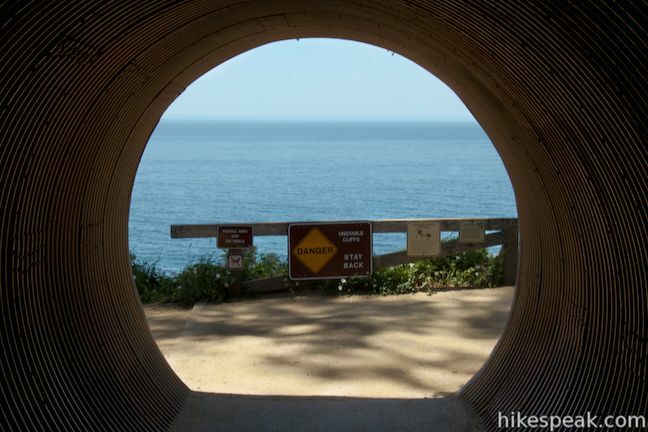 Walk down the trail past the tunnel and continue to views of McWay Falls. 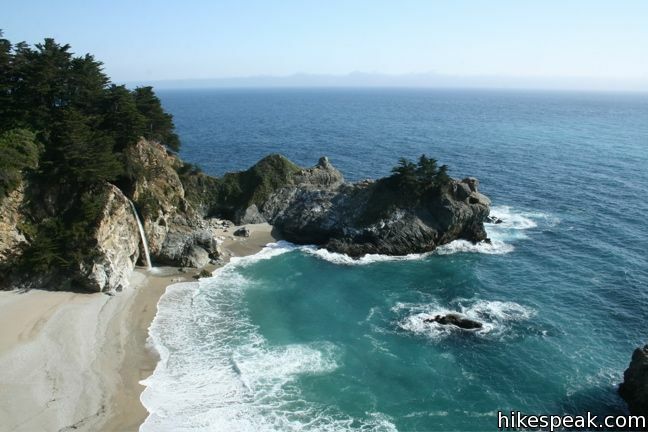 The trail follows cliffs around a cove to a point that faces McWay Falls. A lovely beach graces in the cove below the trail, but visitors are not allowed to access to this area, where the waterfall lands on the beach, so the entire cove remains natural and beautiful (A big fine is charged to anyone who gets caught down there). At the end of the short gradual trail, you will reach the best views of the falls and the stone foundation of a house built on the point north of the falls. 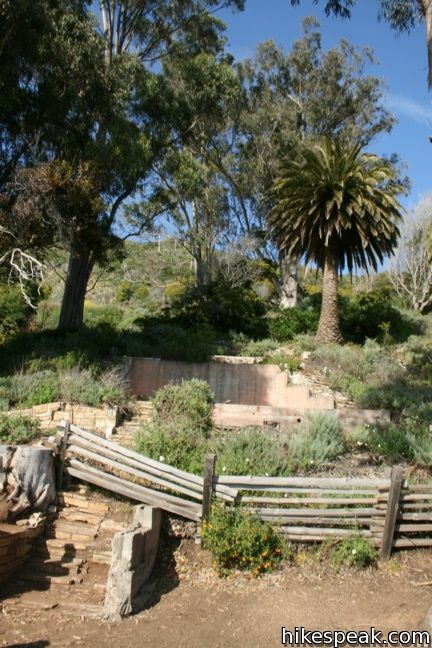 The house was built in 1940 and later the land was donated to California State Parks. What a view the residents must have had! The park has setup several informative panels in this area. One panel shows photos of McWay Falls prior to a massive 1983 landslide that occurred just north of here. The landslide dropped lots dirt into the ocean that flowed south and collected here, creating the beach in the cove by McWay Falls seen today. Prior to this, the waterfall dropped directly into the ocean. Over time, the beach may disappear again. 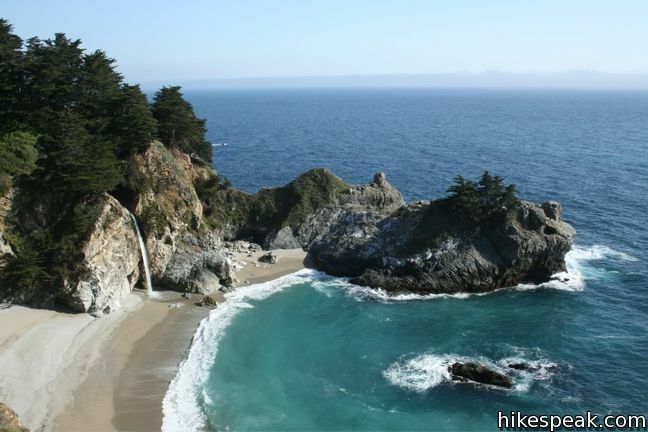 McWay Falls is so shockingly beautiful that you will just want to linger at the end of the trail and watch it fall. When you are done scoping out the falls, simply walk back the way you came. For those who want to hike farther, seek out a short path venturing south of the falls. Take this trail to rewarding views south down the coast. 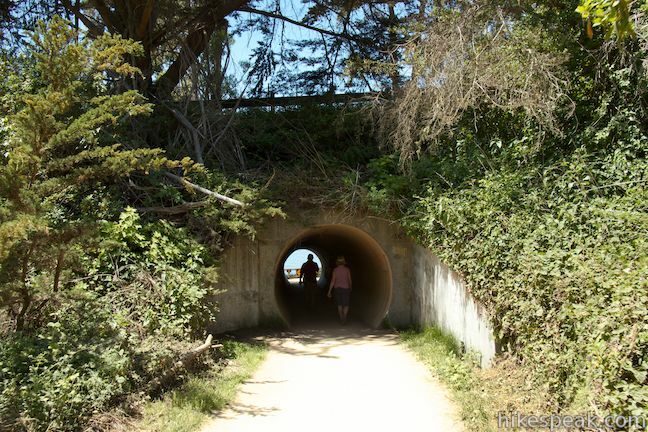 Additionally, two miles to the north is the 1.5-mile Partington Cove Trail, which visits a small beach and a tunnel-accessed cove. Dogs and bikes are not allowed. 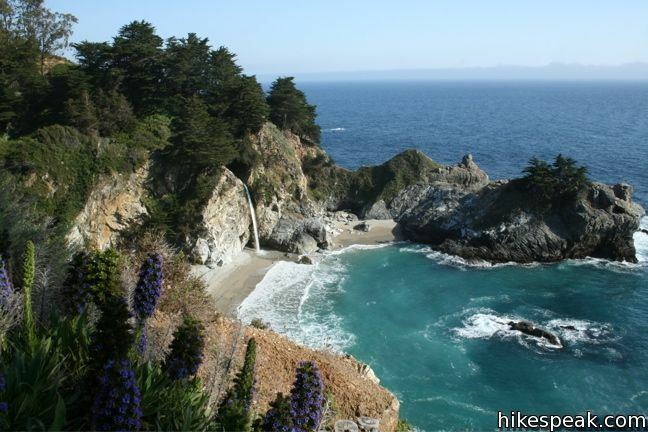 If you park along Highway One, no fee or permit is requires to visit McWay Falls, so get out and enjoy! 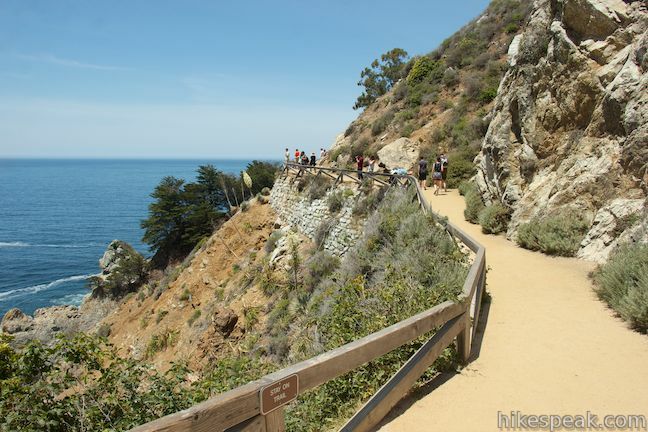 Trail status: Severe storm damage in March of 2019 caused Julia Pfeiffer Burns State Park to close until further notice. Julia Pfeiffer Burns State Park is closed! Visit the Julia Pfeiffer Burns State Park website for additional information about the park and trail closure. During the closure, McWay Falls can be observed from a pullout north of the park entrance on Highway 1 near mile marker 36.2. Prior to the 2019 damage, McWay Falls Overlook Trail had to be partially closed due to dangerous trail erosion from previous storms. 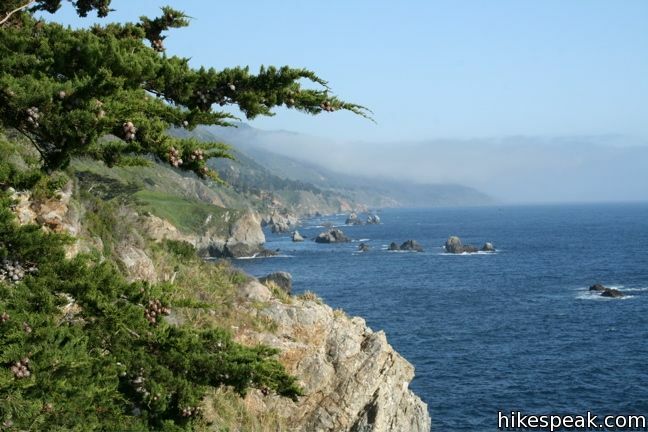 To get to the trailhead: From Ragged Point, drive 37.2 miles north on Highway One to the well marked Julia Pfeiffer Burns State Park (60 miles north of Cambria). 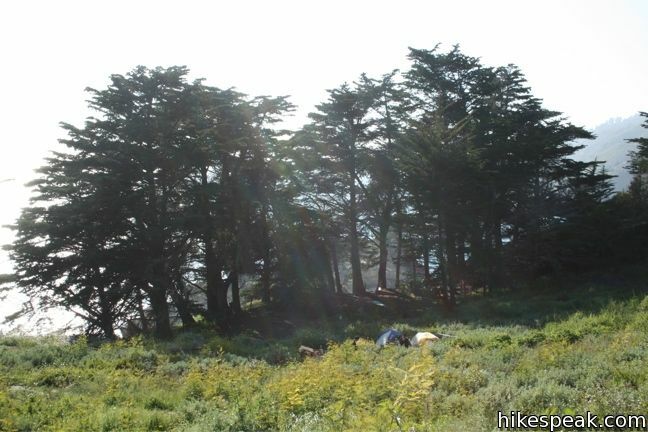 The park is 8.1 miles south of Nepenthe Restaurant in Big Sur. 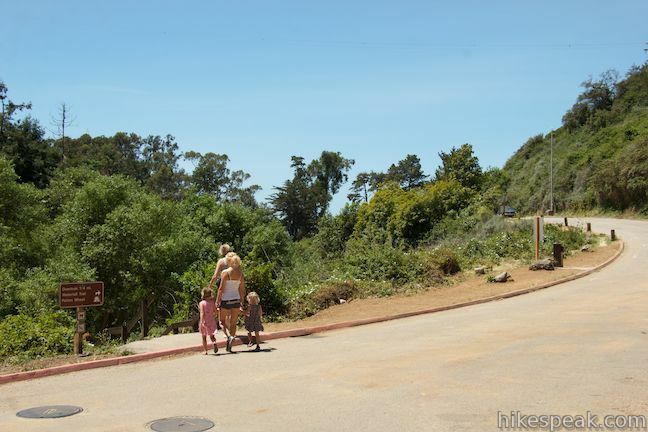 Park beneath the sycamores alongside Highway One and locate the trailhead on the west side of the road. These photos were taken in May of 2010 and 2014. Click to enlarge. This electrifying 1.2-mile hike delivers visitors to the base of the tallest waterfall in North America. 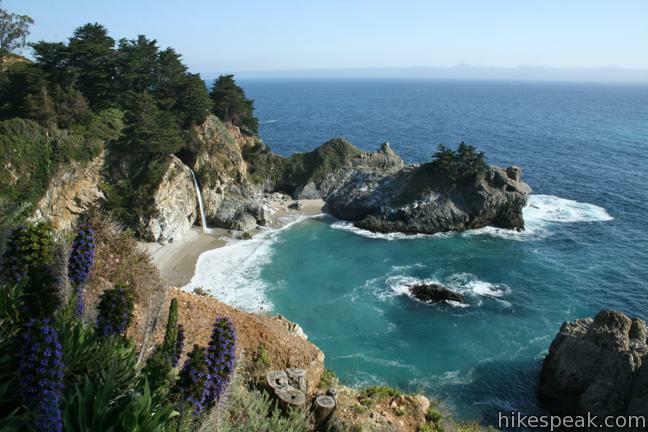 Mcway Falls is wonderful! I visited Julia Pfieffer State Park with my wife, and spend time there. We walked along the walkway, and we’re lucky enough to saw sunset from there. Seeing waterfall, sea, waves, rocks, trees, flowers, wow they’re come together in one place. It’s one of beautiful places in the world. I want to explore the place again. 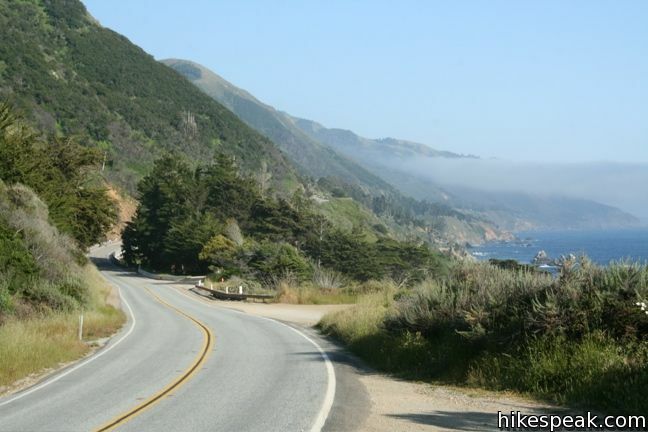 My wife and i will go to California the next mounth of July.We’ll travel the Hwy 1 from S. Francisco to Los Angeles. 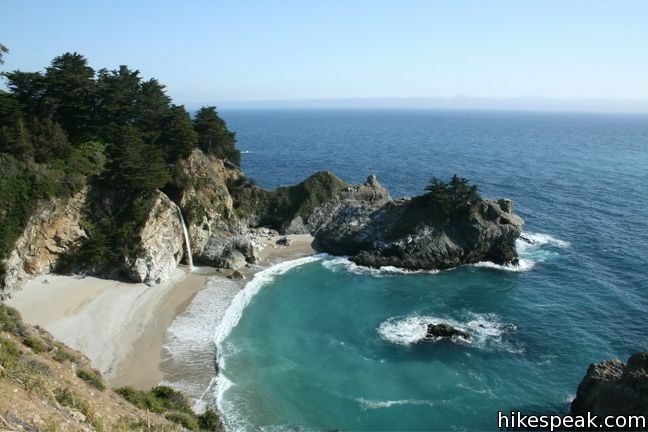 We want visit Mcway Falls. Could you send us the address where we can stop our car? There are other interesting places to see? 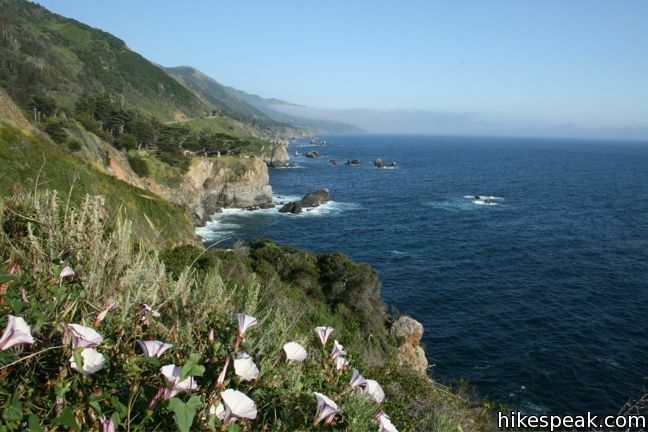 There are several other great trail on Highway One, including the nearby trail to Partington Cove, which you can find on this list of hikes in the Big Sur area. 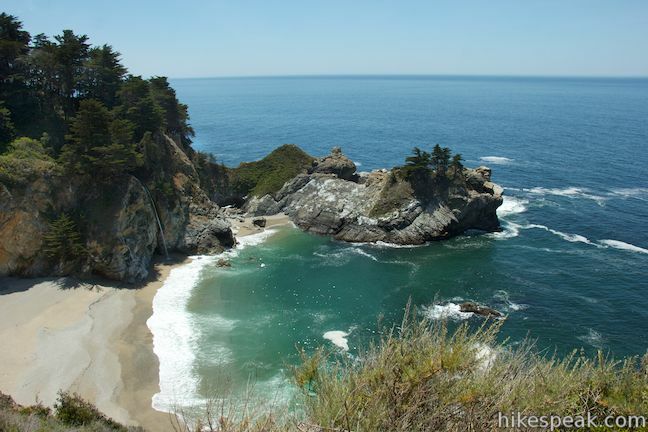 Are there campgrounds close to McWay Falls? 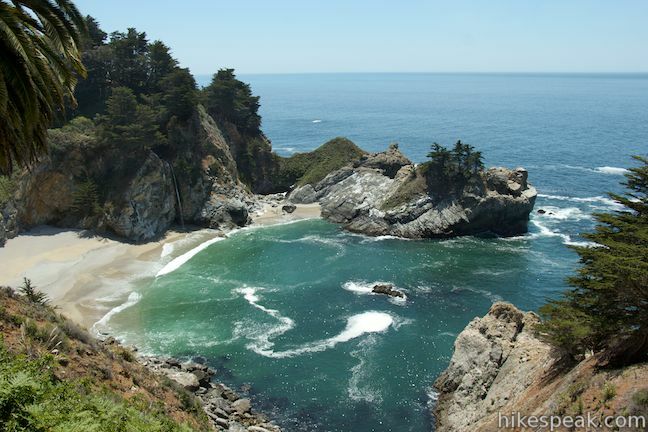 Hi – There are two “Environmental Campsites” in Julia Pfeiffer Burns State Park (more info) located near McWay Falls, but they seem to be constantly booked. 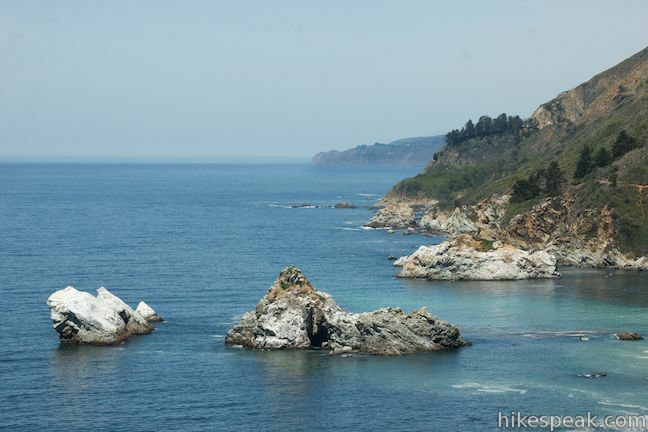 You will have better luck looking for a camp site in Limekiln State Park or in the surrounding national forest. the fine is roughly $400/person. and completely worth it. My boyfriend received a parking ticket there but lost the ticket. Is there someone we can contact? You might want to contact the local police department there. Yes finally as of July 2018, after a 14 month closure !